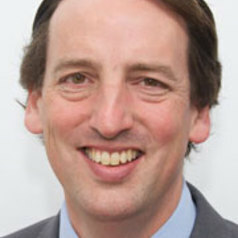 John Daley is the CEO of Grattan Institute, which conducts independent, rigorous and practical analysis of Australian public policy. John's work at Grattan Institute has focused on budget, tax, and economic reform policy. He is a consistent advocate of the importance of government prioritisation. John Daley has 25 years experience at the intersection of the public sector, private enterprise, and academia. His diverse background includes law, finance, education, and workers compensation. Previous roles include the University of Melbourne, the University of Oxford, the Victorian Department of Premier and Cabinet, consulting firm McKinsey and Co, and most recently ANZ where he was Managing Director of the online stockbroker, E*TRADE Australia. John has a DPhil in Public Law from the University of Oxford, and degrees in Law and Science from the University of Melbourne.